To make your office environment a comfortable one for your employees and also a successful one for your business, it is important to have a proper office fitout. 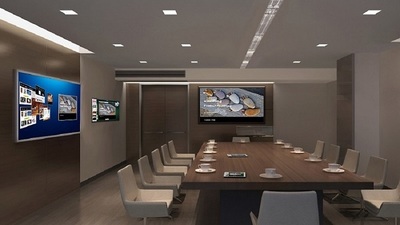 But this can be a daunting task because searching the best one among many different office fitouts is not an easy job. But if you wish to have a good fitout that matches your office decor and can be also comfortable for your employees, then here is a guide that you can follow. 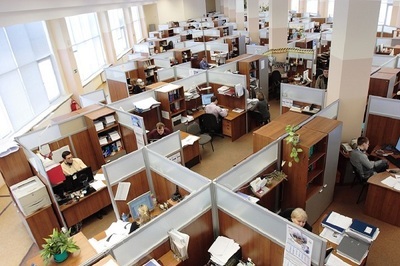 First of all, you need to decide what is your purpose in setting up the office fitout. In different situations, there can be different purposes. Either it can be for the branding of the organization, or at times also can be for the motivation of the employees. Of course, in both the cases, the end result is the success of the company, but in two different ways. Hence, you need to decide first on the purpose of the fitout. There are ample office fitouts available to motivate your employees and if you wish to have one for branding, then there are customization options also available. Now if you want the fitout to be arranged in a budget that is reasonable, then you need to prepare a checklist. This checklist should have the items that are required for the operation of the office, the items that are already there in the office and the items that you need to buy. Thus, a proper checklist will allow you to get the right office fitouts within your budget. You can again keep on adding any left-out items later in the checklist when you remember or come across when consulting with someone. Today several brands are available for both fixtures and furniture. If you are getting the fittings for your office, of course, you need to get something that is reliable and durable. You should go for a renowned brand or you should check the quality of the products carefully before buying them. Furniture and fixtures in offices are like homes that are not changed for years. So, you should have office fitouts of the best quality so that it does not get damaged after just one year or so. You might not be able to remember all the items that you need to buy for your office. It may happen that you may have missed out some of the most important ones. It is important to do a bit of research. You can talk about it with the IT department so that they can let you know the important items such as telephone, server, and others. Also for furniture, you can explore various office models online and get a fair idea about the office fitouts that you should have. After you have arranged everything and you are done at your end, then it is the turn to get some professional help. If you contact a professional office fitouts contractor, they will be able to guide you with the shortcomings in your office. Also, they can suggest you in arranging the right item at the right place. Such contractors are seasoned experts who will instantly as to what is lacking and what can be done to make an amazing transformation to provide your office a perfect and a professional look]. Office fitouts are very important to not only motivate the employees but also attract the clients and customers visiting your office. Hence, it is very important to research well and get the right fitouts so that you do not have to regret after ruining a crucial renovation work that has the potential change your business fortunes. Fitouts can be expensive for office environments. But I would go with a professional team rather than try it in-house - especially if you have clients coming to your place of work.